As part of the RNLI National fundraising day, our school played its part in a day of fun and learning that highlighted the important work the RNLI charity does. 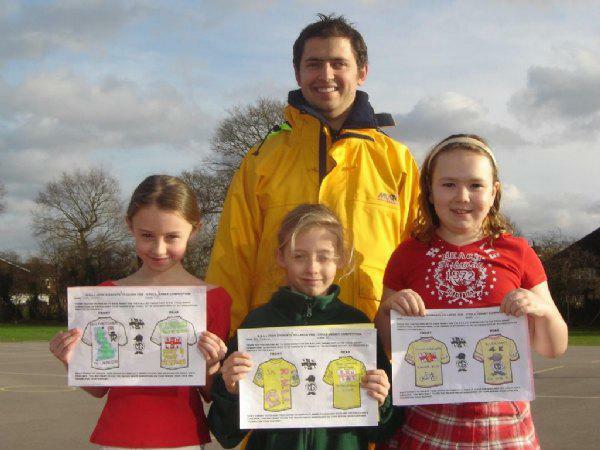 The aim of the day was to raise awareness of a key charity in the United Kingdom and raise lots of money towards Mr. Kirkham's target of £5000, that he hopes to achieve by completing an epic John O’Groats to Lands End cycle ride later this summer. During the day children dressed in red and white and some in fantastic costumes with a sea theme. They learnt about the role of the RNLI and went into the ICT suite to use the RNLI for Kids website. Activities in the classroom included designing posters, leaflets and a SAFE code. The RNLI education officer for the south east gave a talk in assembly and during lunch there was a cake sale organised and run by Year 5 children. Everyone had a fantastic day and an amazing £790 was raised towards Mr. Kirkham’s target. Mr. Kirkham would like to thank Year 5 children for their help in running the cake sale, staff who supported and helped out during the day and all the children and parents for giving so generously.